What is a Jam? Improvisation Jams are leaderless practice environments in which dancers practice improvisation with whoever gathers—friends or strangers, old, young, experienced, novice. 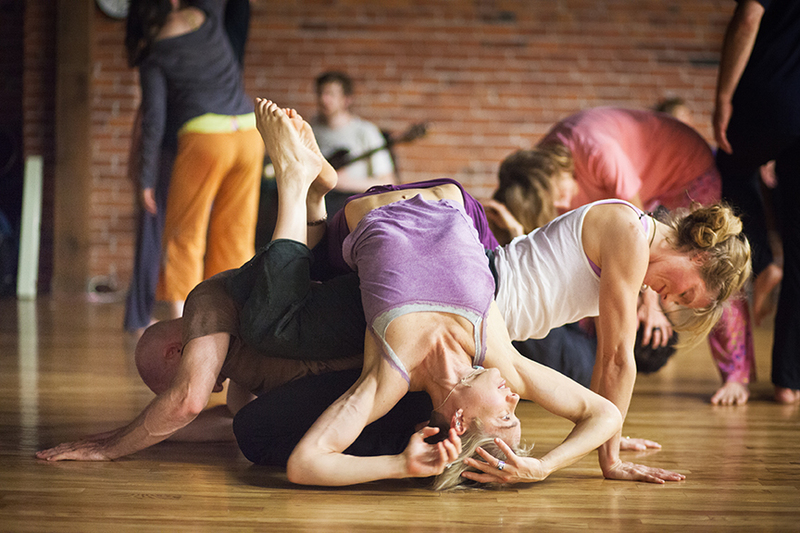 They are environments in which to explore, experience, and enjoy the dance form of Improvisation. Everyone is welcome regardless of Improvisation experience. For more info, you can refer to these great Jam Guidelines from Sharing Weight in Boulder, CO.
How do SFDI Jams work? Velocity has three studios: Founders, Kawasaki, and Steward. SFDI Jams are hosted by rotating SFDI faculty. The faculty are offering warm-ups, opening circles, music choices, scores, or are simply being present and available in the space. Check below to see which faculty, which night, which room, and a hint of what might be going on. Kawasaki: Krista DeNio //Interdisciplinary Jam: Bring your forms, styles, improvisational scores, ideas and notebooks! Compositional scores encouraging intersection. Kawasaki: HIJACK // Simple scores to integrate watching and dancing.